The Office of the President is the headquarters for the University of California. 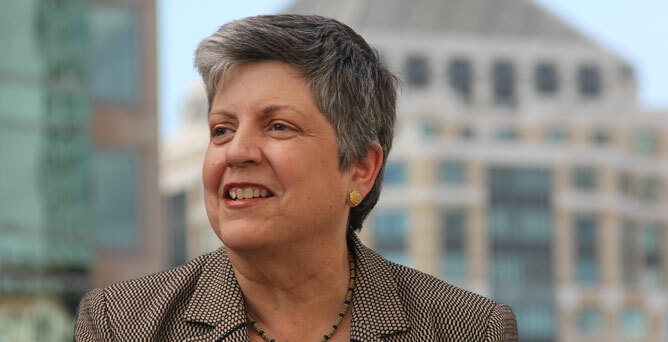 Led by UC President Janet Napolitano, the Office of the President plays a distinct role in helping to shape the overall vision for the university and in carrying out core activities that allow the 10 campuses to function as a single university. 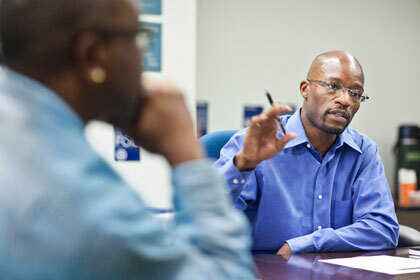 As UC’s central hub, the Office of the President developed and administers a systemwide undergraduate application system and oversees and coordinates student support services across its campuses. It funds and guides systemwide academic, research and public service programs. And it provides centralized business functions in areas like budget analysis, risk management, and procurement, saving the university money by avoiding duplicative services at each location. The Office of the President is responsible for guiding policy decisions on UC enrollment growth and managing UC’s online application. This centralized admissions portal allows prospective students to apply to multiple UC campuses with a single application. It also lets more than 200,000 prospective students per year find all application resources in one place: from exploring campus options, to calculating their financial aid to reading writing tips for the application itself. Even before students apply to UC, the Office of the President is working to open the doors of educational opportunity for K-12 students across the state. UCOP works with California’s K-12 schools through programs like Achieve UC, MESA and its Transcript Evaluation Service to ensure that students from all backgrounds are ready for college and eligible for UC. Much of its work focuses on raising achievement levels among disadvantaged students across the state. The Office of the President administers roughly $5 billion in financial aid from federal, state and UC sources. It is one of the strongest financial aid programs in the country, providing aid to three-fourths of California undergraduates and covering all tuition and fees for more than half of those students. UC directs one-third of its tuition revenue into student financial support. Those funds will provide California students with $250 million more in financial aid in 2017-18 to help cover not just tuition, but books, housing, food and transportation. The Office of the President provides leadership and strategic direction for UC’s five top-rated academic medical centers and 17 health professional schools, known collectively as UC Health. The central office supports operational initiatives and collaboration, and provides oversight on the business and financial activities of the clinical enterprise. By enacting supply chain, IT and revenue cycle efficiencies, UCOP has saved its medical centers $675 million over the past three years, including $373 million in fiscal 2016. Cooperative Extension, with offices in every California county, helps communities address issues related to agriculture, natural resources and nutrition. UC researchers and educators carry out hundreds of research projects aimed at enhancing food systems, protecting water supplies and improving the health of communities. 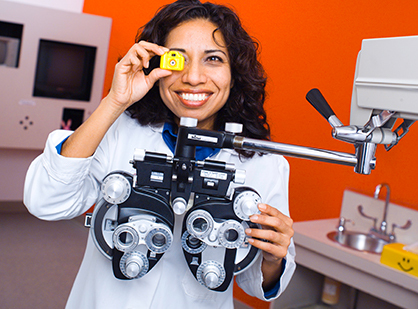 Cooperative Extension staff provided direct services to roughly 1.4 million adults and youth in 2015. Carbon Neutrality Initiative: UC has pledged to reach carbon neutrality by 2025. In other words, UC’s buildings and vehicle fleet will no longer be contributing to the greenhouse gases that drive climate change. UC research is developing scalable solutions to help our campuses, California and the world cope with our changing climate. 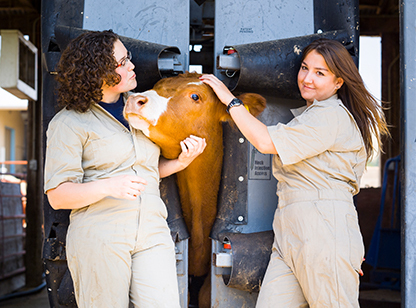 Global Food Initiative: UC has harnessed expertise and resources from across its 10 campuses to address the social, economic, political and ecological issues necessary to feed a world population expected to reach 8 billion by 2025. Innovation and Entrepreneurship: UC is expanding the innovation ecosystem across its campuses to help more discoveries reach the marketplace. A particular focus is on providing students, including those from the humanities and other non-STEM sectors, with the entrepreneurial skills, resources and training to launch successful startups. 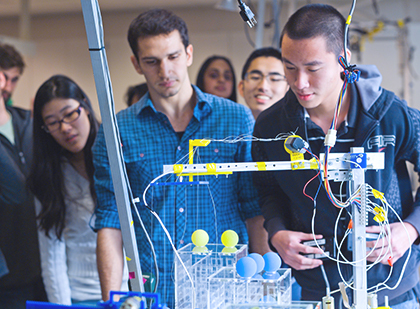 UC offers a growing network of accelerators, incubators, mentorships and courses to help a generation of student entrepreneurs make the most of their innovations. Undocumented Students Initiative: UC welcomes and supports students without regard to their immigration status. Through the Undocumented Students Initiative, UC works to ensure that undocumented students have the same opportunities for academic success as other students.